On February 24, 2014 the Wards Corner Civic League held their regular monthly meeting at the Fitness and Wellness Center. On the agenda was a discussion of the proposals for, and possible redevelopment of, the Meadowbrook School. · A minimum of 1.5 acres of the site will be permanently designated as a City owned and maintained park (OSP zoning), preferably fronting the 1600 block of Trouville Avenue, with adequate off-street parking for park users. · Fire station No. 12 may be relocated to the western-most 1.5 acres of the site, provided the building’s architecture is compatible with the adjacent Meadowbrook residential area, all traffic ingress/egress is via Hampton Blvd. or W. Little Creek Rd., and sufficient noise abatement measures, vegetative screening and on-site parking are provided. · A maximum of 1.5 acres of the site may be reused/redeveloped as single-family homes, provided these homes are primarily brick-faced, have adequate off-street parking, and are zoned R-5, in keeping with the majority of adjacent homes in the Meadowbrook neighborhood. As a condition of sale, the City shall require the developer(s) to enter into a development agreement and deed restrictions, restricting the zoning, use, height and facing as described. The vote was unanimous in favor of support of Meadowbrook Civic League’s position and a letter of support will be forwarded to the City. City Council Member Andy Protogyrou led the meeting. Parking on the Grass on West Little Creek Road – Leonard Newcomb, Norfolk Zoning Services Manager, said that the City has sent letters to the houses in the 100 – 600 blocks of West Little Creek Road about parking on the grass. The City will continue to use enforcement but is also trying to find a way to work with property owners to expand driveways. Medians along Granby Street that were damaged during the recent gas line and road work will be restored – damaged vegetation and sprinkler systems will be replaced. Anchor poles on the southeast side of Granby at Little Creek will be removed by Virginia Power once the weather improves. The City is looking at potential changes to turn lanes at the southeast junction of Granby and Little Creek and plans to install a traffic signal on East Little Creek Road at K&K Square. After the task force’s discussion of traffic congestion, traffic lights, illegal turns, etc. in this area, the City will convene a small working group of task force members to further discuss these issues. The new Director of Development, Steven Anderson, was introduced. The City’s façade improvement program is being revised. Harris Teeter will open on February 19 and other stores in K&K Square shortly thereafter. The BP gas station property is under contract and should go to closing soon. The underground gasoline tanks must be removed. A one to three bay retail building is being considered; the City has not seen a site plan. Driveways to this property may be enlarged – City will have to approve the building and its driveways. Talbot Hall Update – The Talbot Hall property, owned by the Episcopal Diocese of Southern Virginia, is under contract with a group of local residents. The new owners propose to build 14 private homes on the 6+ acre property, while maintaining the manor house on ½ acre and setting up a foundation to restore and open it to the public. The Talbot Park Civic League has invited the new owners to speak to the civic league about their plans. Meadowbrook School – The City issued requests for proposals for the redevelopment of several unused school properties around the city, which have been unveiled and a public comment period is underway. 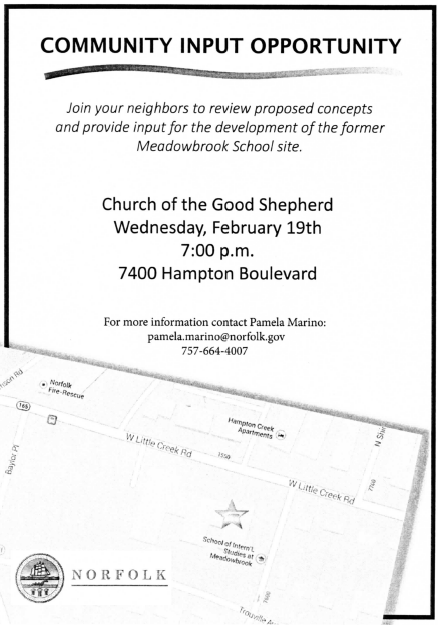 A public meeting will be held on February 19 at 7:00 pm at the Church of the Good Shepherd to discuss the potential redevelopment of the former Meadowbrook Elementary property. The Meadowbrook Civic League is opposed to development of apartments or condos on this site. Next Meeting – There were requests to discuss the crime statistics for the area, the proposed school redistricting plans and how that will affect the Wards Corner area, and the public art project. 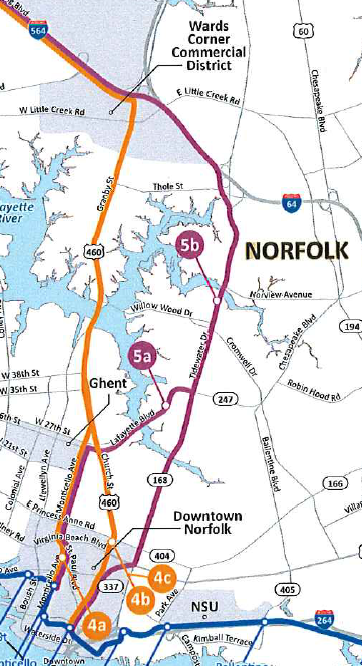 The Norfolk Naval Base Light Rail Extension Study is underway. As a result of a number of public meetings, 17 different preliminary routes for the extension have been identified with a number of those preliminary routes coming through Wards Corner. Here is the complete PDF document with all of the preliminary routes identified thus far: Norfolk Naval Base Light Rail Study_Prelim options (PDF). These routes are not exclusive; the final route may very well be a combination of the preliminary routes or a completely different route. Please come out to support Meadowbrook Civic League’s stance against too much density at the Meadowbrook School site. The City is holding a “Community Input Opportunity” on February 19, 2014 at 7pm at the Church of the Good Shepherd, 7400 Hampton Boulevard. 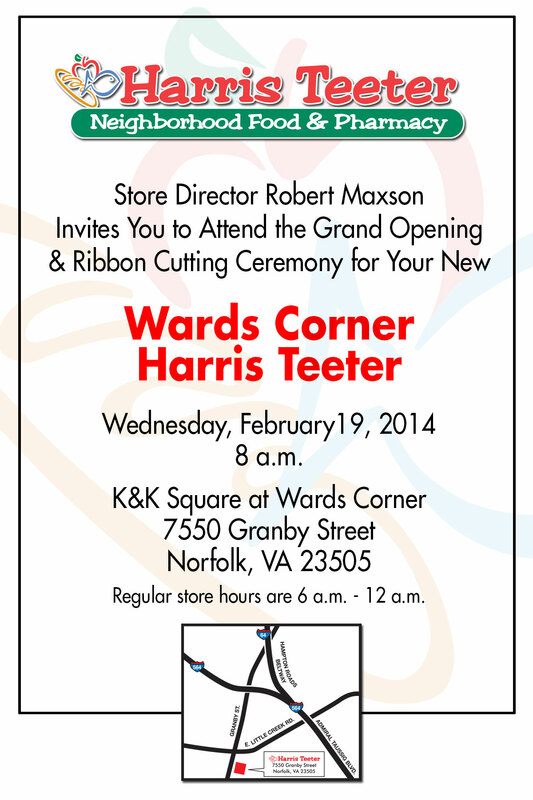 Harris Teeter is opening its newest store at 7550 Granby Street Norfolk, Va. on Wednesday, Feb. 19, 2014. The grand opening commences with a ribbon cutting ceremony and speeches. Speeches are expected from Store Director, Robert Maxson, and Norfolk Mayor, Paul Fraim, beginning at 8:00am. The Ribbon Cutting is scheduled for 8:08am with doors opening at 8:10am. The public is invited to this event. 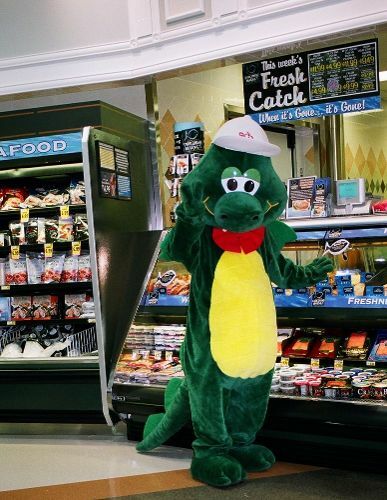 Harris Teeter’s mascot, Harry the Happy Dragon, is expected to join in the festivities as well. 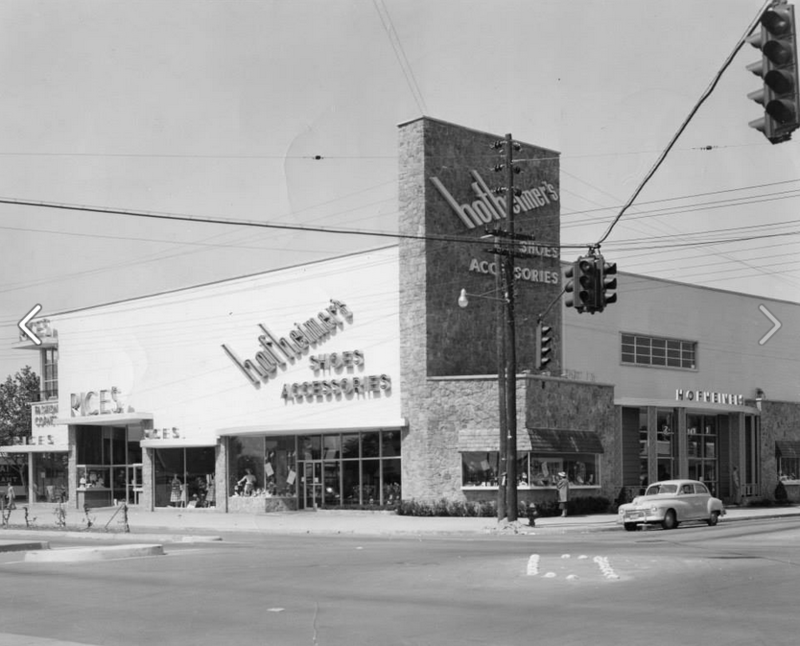 It was 62 years ago [2/6/1952] tomorrow that the beloved Hofheimer’s and Rice’s opened at Norfolk’s Wards Corner. It took over a year to construct the $350,000 building. Norfolk’s mayor Duckworth made an appearance at the opening ceremony where shoppers received balloons, lamb’s wool shoe buffers, key cases and Hawaiian orchids. The store has its own 50 car parking lot. Comfort was assured while shopping as the entire store was cooled by air conditioning. The lighting was florescent and incandescent throughout. Flagstone floors and carpeting were found throughout both stores. Elevator service was provided to the second floor. On the second floor, children were delighted to find a supervised “Circus Playground” complete with a merry-go-round, slide, see-saw and hobby horse. The most popular feature of the store and the one that seems to bring back the most memories of the establishment is the glass enclosed cage where two South American woolly monkeys were housed (On the Sewells Pt. Rd. side – now Little Creek). The cage was air conditioned at a constant 70-ish degree temperature for the comfort of the animals. It seems that most locals remember one monkey – Lulu… and we scoured our photo collection for a picture of Lulu but came up short. 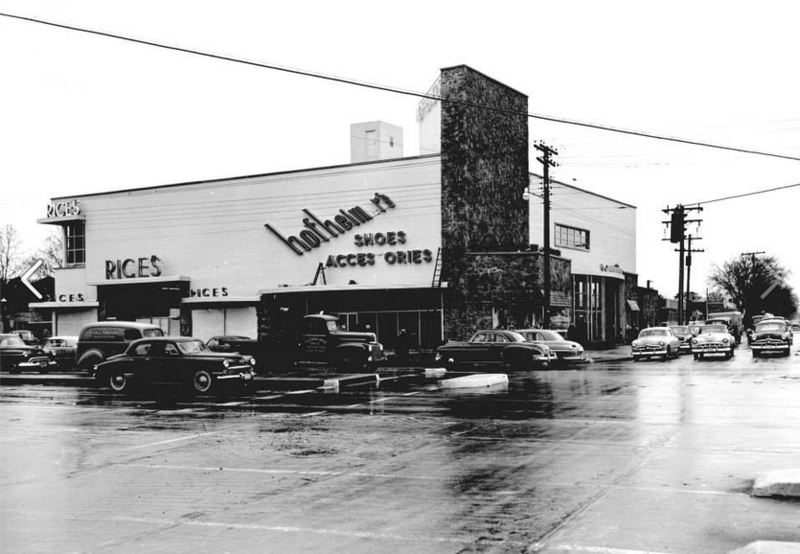 The building was demolished in 2000 and a Walgreens now stands at this location. 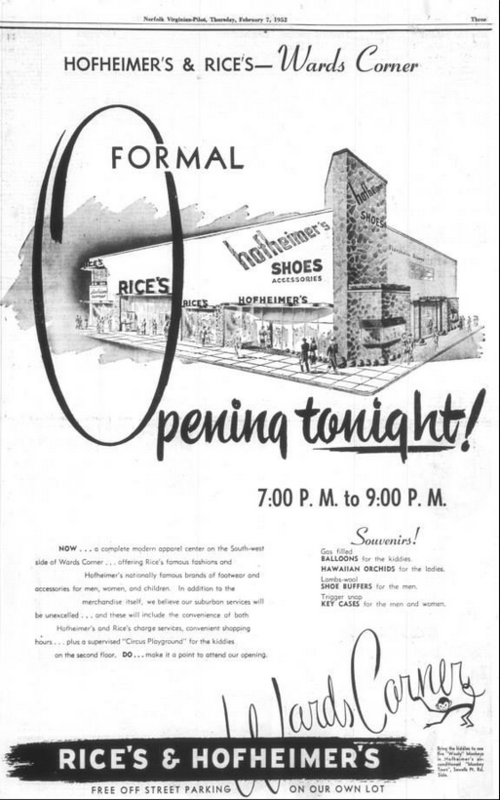 A large advertisement that ran in The Virginian-Pilot the day of the opening. 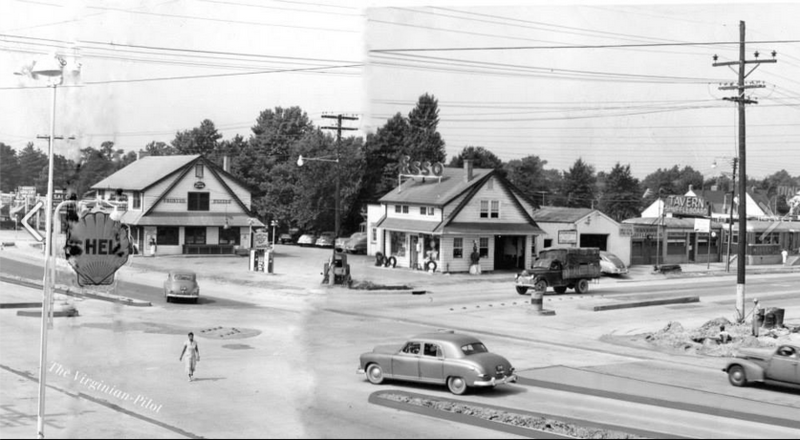 A rare shot of the location where the building would be constructed – photo taken in 1950. VP file photo. A shot of the store just days before the Grand Opening. Virginian-Pilot photographer Charles Borjes snapped this photo on Feb. 5, 1952 as workers put the final touches on the store. Photo c/o The Sargent Memorial Collection. Here is the building fully opened some time later. VP file photo. You are currently browsing the Wards Corner Now - Wards Corner, Norfolk, Virginia blog archives for February, 2014.